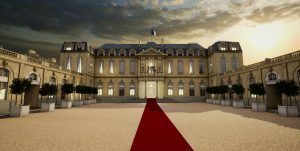 live coverage of the first and second round of the French presidential election on April 23 and May 7. DreamWall has extensive expertise across a broad range of the skills required to deliver attractive, compelling TV audience experiences from storyboarding and project design through colorisation and compositing to 2D/3D animation and special effects. For France Télévisions, the company developed and implemented the entire workflow – from initial creative support through integration to final delivery.